Tripolia Bazaar in Jaipur – Shop in the Middle of Jaipur City! Jaipur tours are not only confided to majestic Forts and luxury Palaces. If you are in the Pink City, then you simply cannot ignore the heat of shopping in the Tripolia Bazaar Included in the popular attractions of the city, Tripolia Bazaar has its boundaries drawn between Chhoti Chaupar and Manak Chowk. 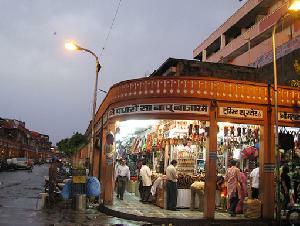 Much like the other places of Rajasthan, this Bazaar also has its flavors melted in the traditional charm of the state. Being acknowledged for its handicraft items and various antiques, the place stays crowded at all times of the day. Here, one can look for precious stones to elegant carpets designed in Indo-Heratic fashion. The legacy of these carpets is being carried forward from the time of Maharaja Sawai Ram Singh II. Themes like landscape, floral and human figures are the main attractions in the design of these carpets. 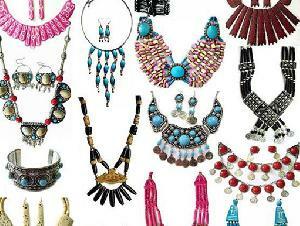 Apart from that, Tripolia Bazaar in Jaipur is also famous for its wide range of Lac bangles, jewelry and Brassware. Therefore, shopping here in the middle of the city is one of the prime things that needs to be done in Jaipur. Shoppers can travel to Tripolia Bazaar at any day of the week, except Sundays. Commuting to the Bazaar is very easy as it is linked by all the means of transport in the city.